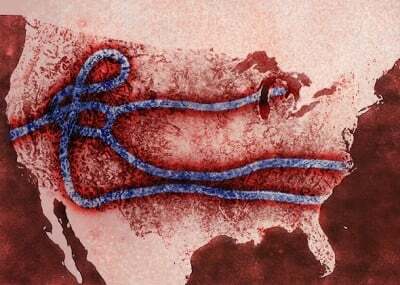 Ebola: Are U.S. Bioweapons Labs the Solution, or the Problem? Professor at the University of Illinois College of Law, Boyle drafted the U.S. Biological Weapons Anti-Terrorism Act of 1989, which is the U.S. domestic implementing legislation for the Biological Weapons Convention. His books include Biowarfare and Terrorism. He said today: “If, as some in the Liberian press are claiming, this outbreak of Ebola is from one of the labs in west Africa run by the CDC and Tulane University, it could be an unprecedented human disaster. That could mean it was GMOed into a ‘Fluebola.’ Recall that the 2001 weaponized anthrax attacks were traced to a U.S. government lab. It’s incredibly odd that this outbreak occurred 1,000 miles from past outbreaks and it is clearly more easily transmissible.